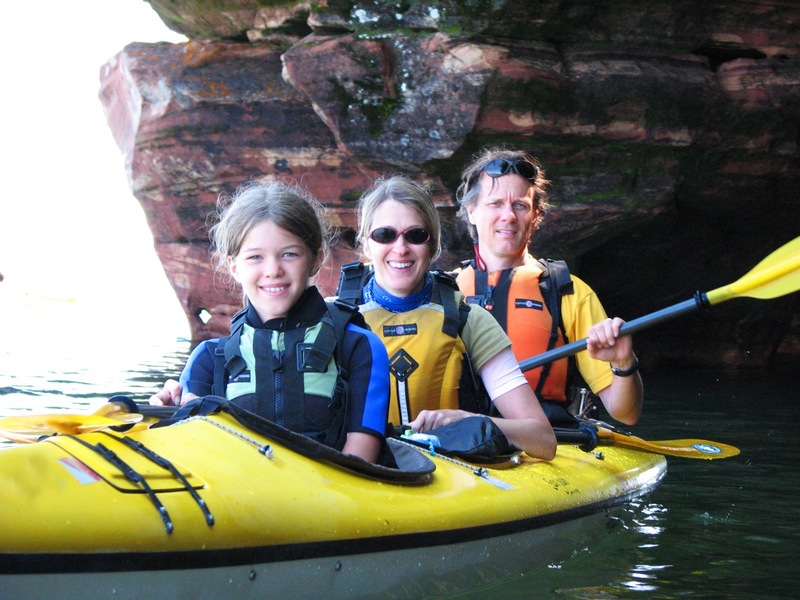 Take your family on this kid-friendly adventure on the South Shore of Lake Superior between Cornucopia and Bayfield. 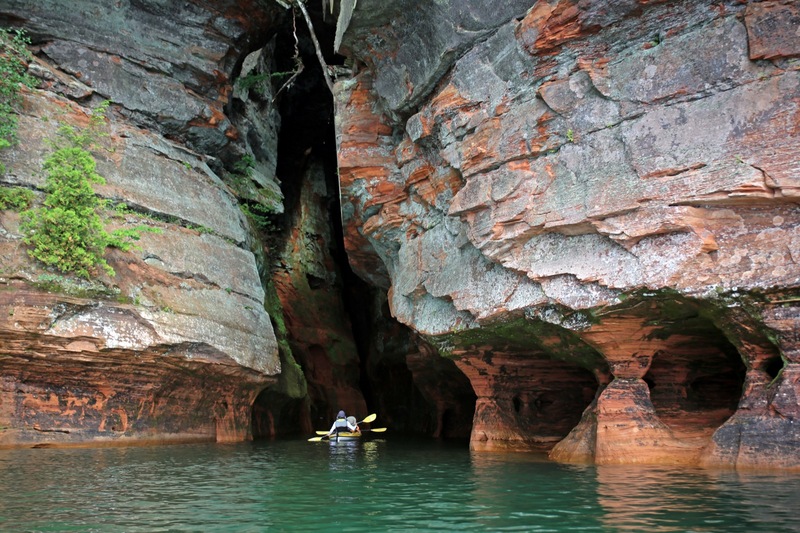 The Apostle Islands are known for sea caves, sandy beaches, historic lighthouses, and sunken shipwrecks. 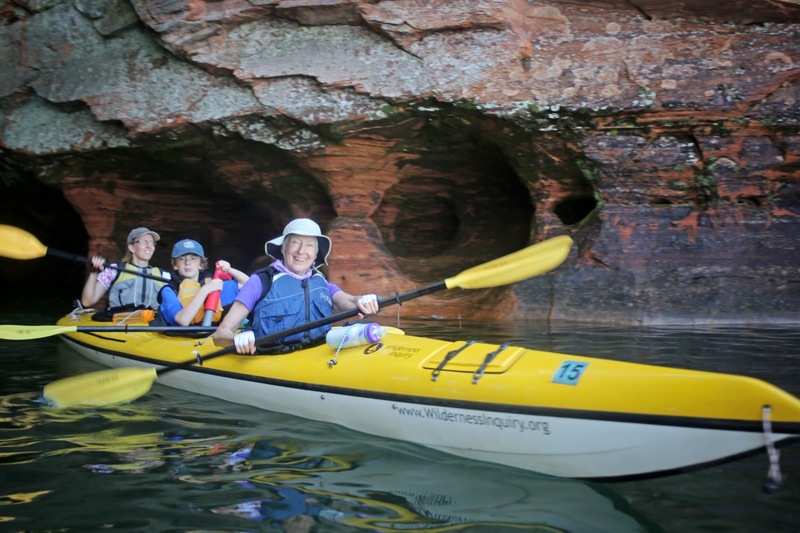 On this Apostle Islands vacation, you and your family will paddle through sea caves, hike scenic trails, and enjoy wide sandy beaches. 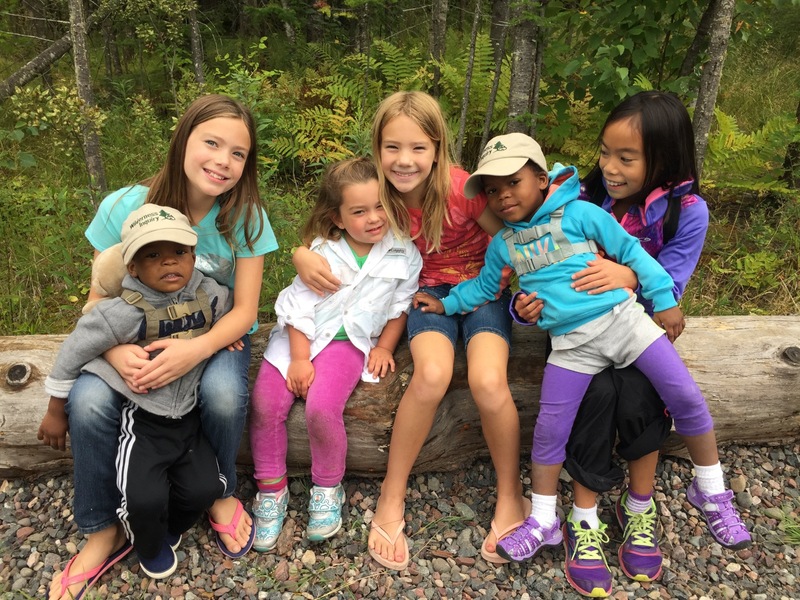 Camp with your family among the tall hemlock trees at our cozy and well-outfitted base camp at Little Sand Bay. 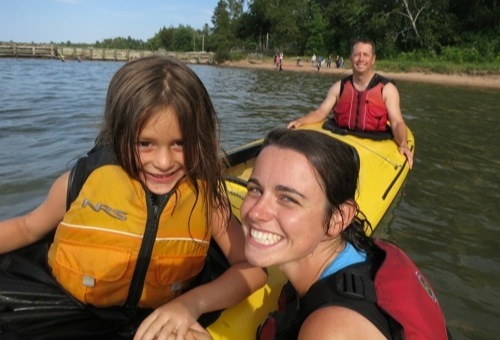 Our talented and caring staff will have activities to keep kids of all ages engaged and having fun. Your kids will love it. Because of special support for our family trips, children 17 and under go for half price on this trip. Day 1: Welcome to Little Sand Bay Base Camp! Get to know your trip mates and explore the area. Your trip begins at our Little Sand Bay Base Camp. Your family will learn how to set up camp, go over safety issues, and begin to explore this area full of beautiful hemlock and cedar trees. 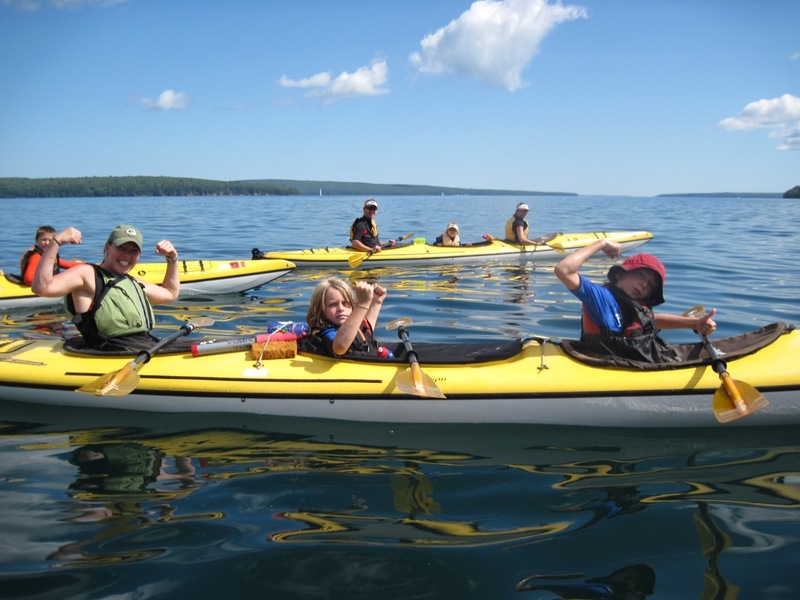 Your guides will provide an orientation to sea kayaking and our 24-foot Voyageur canoes. After dinner you'll get to know your trip mates and make s'mores around the campfire. Day 2: Enjoy a paddle to the famous Fedora shipwreck or the wetlands of Bark Bay Slough. Enjoy a hot cup of coffee or cocoa with breakfast, then set out for another day of adventure. Options include paddling out to explore the skeleton of the famous Fedora shipwreck near Buffalo Bay or paddling through the wetlands of Bark Bay Slough. WI staff will lead structured activities for the children throughout the day and evening. Day 3: Paddle to the Mawikwe Bay sea caves or hike to a nearby waterfall. After breakfast, we might paddle or hike to the Mawikwe Bay sea caves. As you eat your lunch on a sandy beach, feel the joy of this magical place. After lunch go on a beautiful hike to a nearby waterfall. Spend the evening back at Base Camp around the fire playing games and listening to stories. Pack up camp and have breakfast before one final adventure. Enjoy a picnic lunch as you bid adieu to new friends. ACCOMMODATIONS: At night you and your family will sleep in a comfortable 4 person tent at our Little Sand Bay Base Camp. Each tent is mounted on a platform. Our Little Sand Bay Base Camp has very nice indoor bathrooms and shower facilities with hot water. 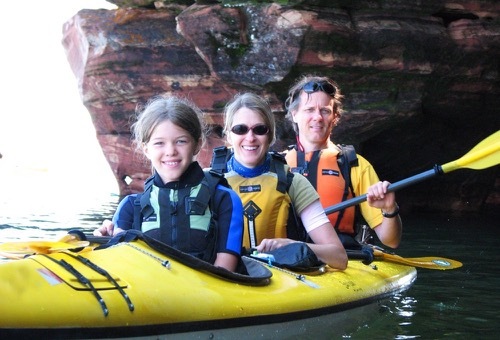 TERRAIN/ROUTE: Most of the time is spent with your family along the beaches and shorelines of the Apostle Islands National Lake Shore. We have several activities to choose from, each revealing a different dimension of this beautiful area. 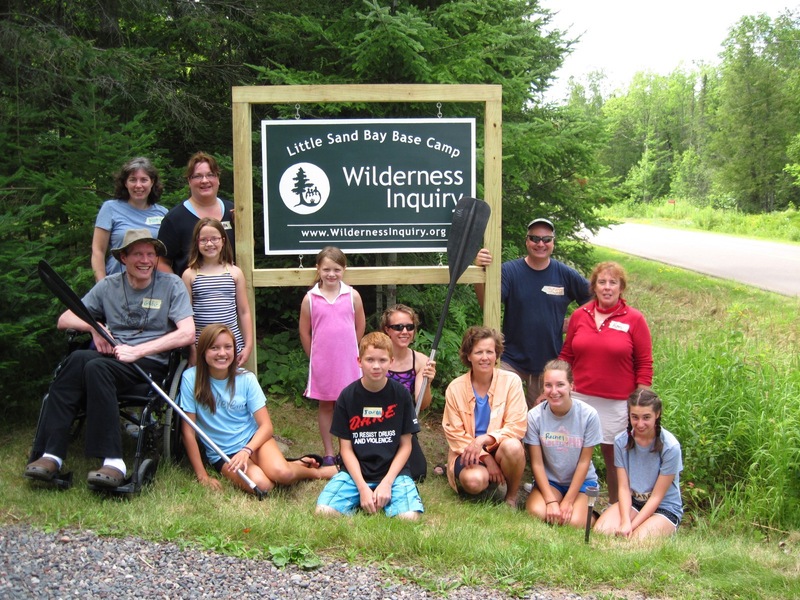 TYPE OF TRAVEL/DISTANCE: You will stay at Wilderness Inquiry’s Little Sand Bay Base Camp and take day trips from there. 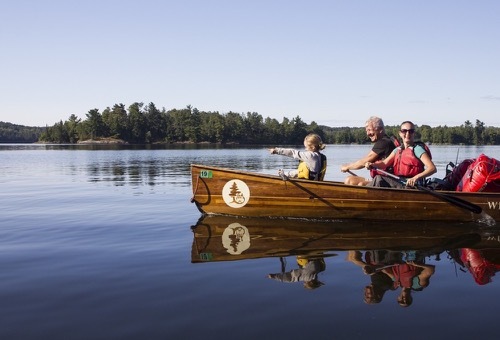 An average day’s activities consist of paddling a Voyageur canoe or sea kayak, hiking, and exploring the area. 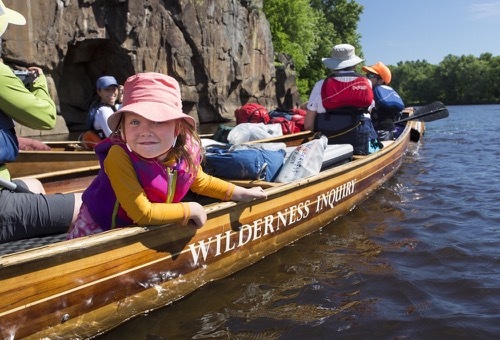 The 24-foot Voyageur canoes hold 6-10 paddlers and or our large stable kayaks hold 2-3 people. 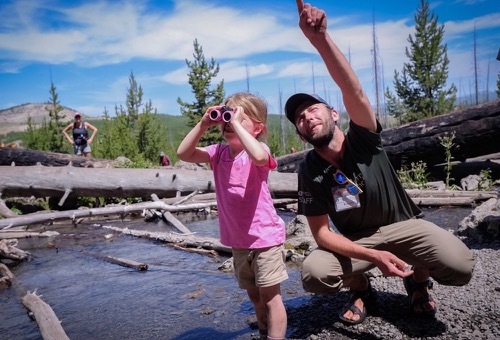 This trip is open to families with kids of all ages; however it is recommended for kids age 5 and older. Outings typically consist of 2-5 hours, depending on weather conditions. 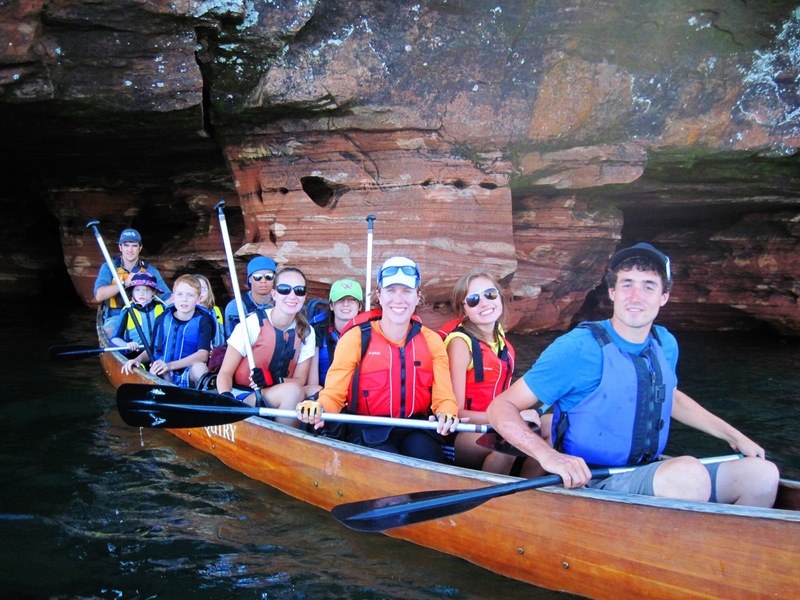 YOUR GROUP: Group sizes on Apostle Islands family trips range from 12 to 18 participants, plus 2-3 Wilderness Inquiry staff. 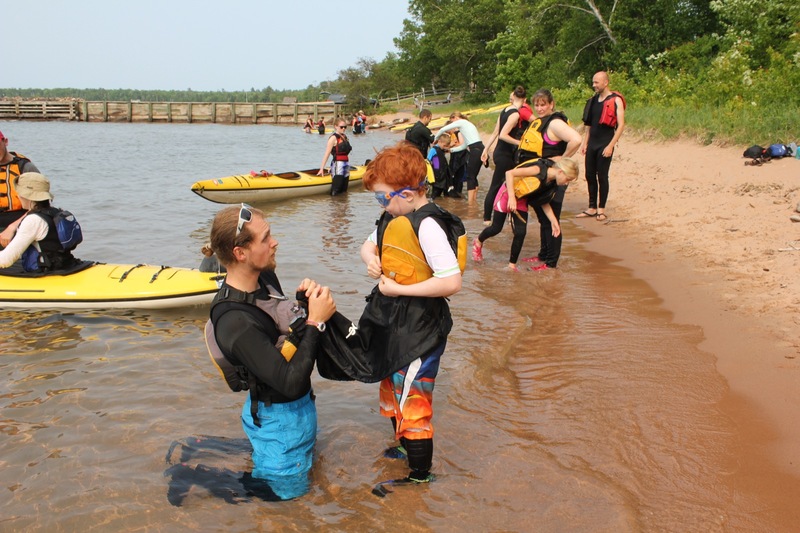 Each group consists of families of various ages, backgrounds and abilities, including people with disabilities. Our trips are cooperative in nature. MEALS: Your family will enjoy preparing meals together in our rustic base camp kitchens using fresh, healthy ingredients for bountiful dishes. Rise to the smell of freshly brewed coffee to enjoy with your breakfast of eggs, oatmeal, or granola. We’ll pack picnic lunches with plenty of snacks before heading off to explore. In the evening, we’ll prepare dinners as a group and enjoy s’mores over the campfire. If you have special dietary restrictions, be sure to list them on your registration. 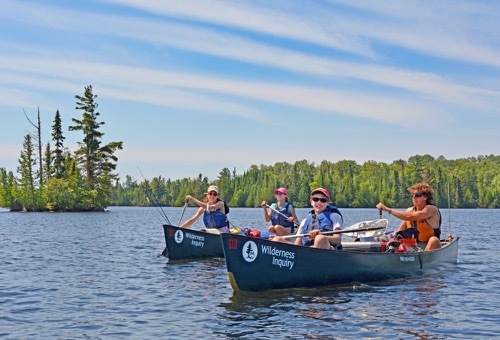 EQUIPMENT AND CLOTHING: Wilderness Inquiry will provide all kayak, canoe, and group equipment like tents, first aid kits and more. You will need to provide your personal gear as outlined in the packing list. If you are new to outdoor activities, you do not need to spend a lot of money. This trip begins at 1:30 PM at our Little Sand Bay Base Camp near Bayfield, WI, where parking is available. The trip ends at 1:30 PM at the same location. Van transportation between Minneapolis or Duluth and Little Sand Bay is typically not available. Detailed meeting place directions will be sent to you when you are confirmed for the trip. Booking a flight? We recommend flying in the night before your trip to Duluth or Minneapolis St. Paul airports, and flying out from Duluth after 5:30 PM and from Minneapolis St. Paul after 9:00 PM. Call us at 612-676-9400 if you have questions. What is the minimum age for kids on your family trips? 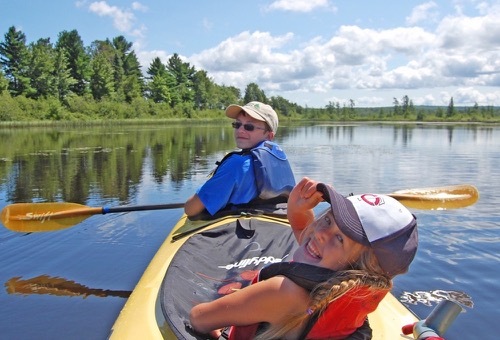 There is no minimum age requirement to participate on a WI family trip. 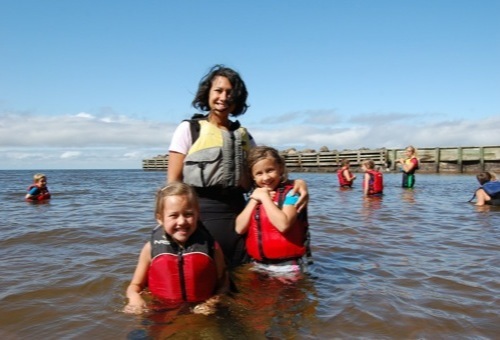 We require participants to wear a personal flotation device (PFD) at all times when on water for safety. The smallest PFD we provide for children requires a minimum weight of 30 pounds. A family with a child smaller than this weight limit would need to provide their own PFD or would be unable to participate on the trip. 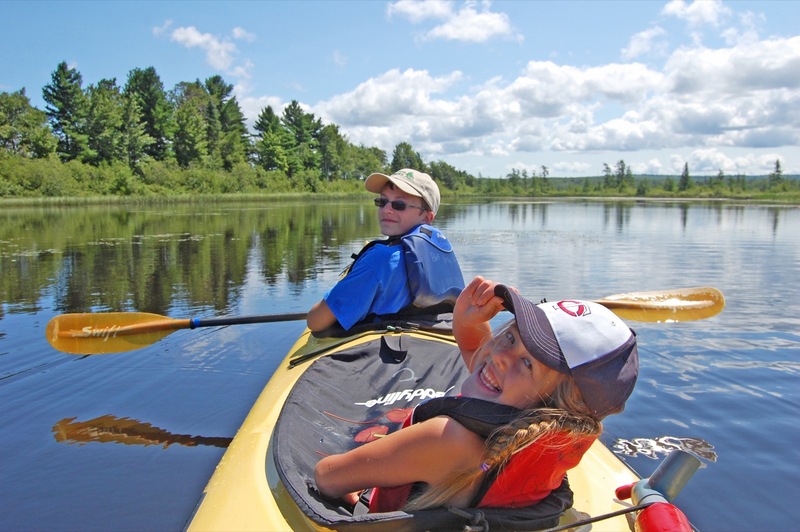 For family paddling trips, children should be able to sit comfortably in a canoe or kayak for 1+ hour at a time. This should guide whether or not a child would be a good fit on any particular trip. Is there a discount on family trips? Yes. All youth participants under the age of 18 pay 50% less than the adult rate on all family trips. 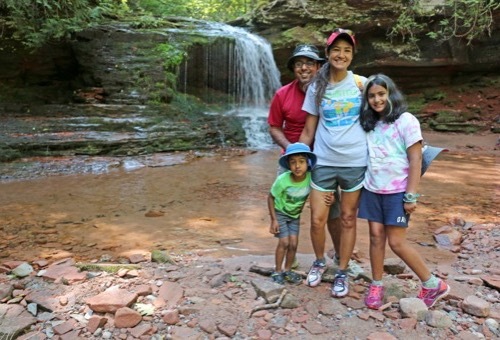 Click here to see a list of our available family trips. 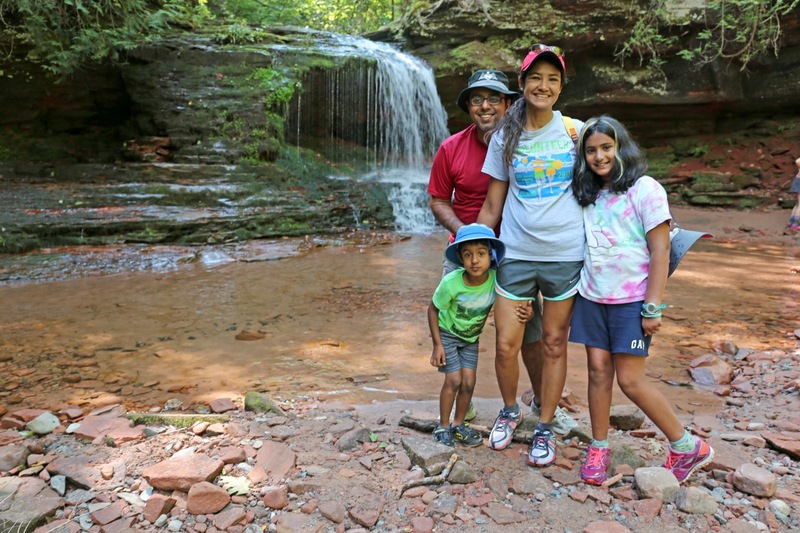 Would my teenager enjoy a family trip with WI? There are typically both teens and younger children on our family trips. We often offer a variety of activities so that participants of all ages have an enjoyable trip! I have a child with a disability. Would a family trip be appropriate for them? Yes. All of our trips strive to integrate persons with and without disabilities, including children on our family trips. Call us at 612-676-9400 if you have questions. Otherwise, you can register for a family trip and we'll call you when we receive your information. Will age-appropriate activities be offered for children on a family trip? Yes. 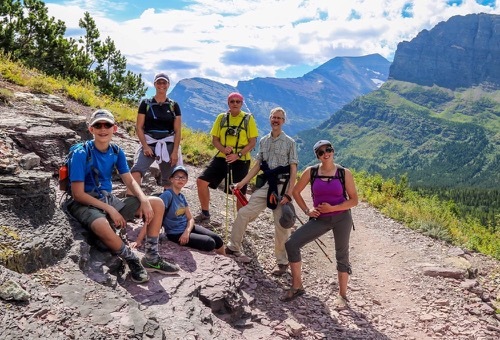 Your trip leaders will offer age-appropriate activities for children at different points throughout the trip. 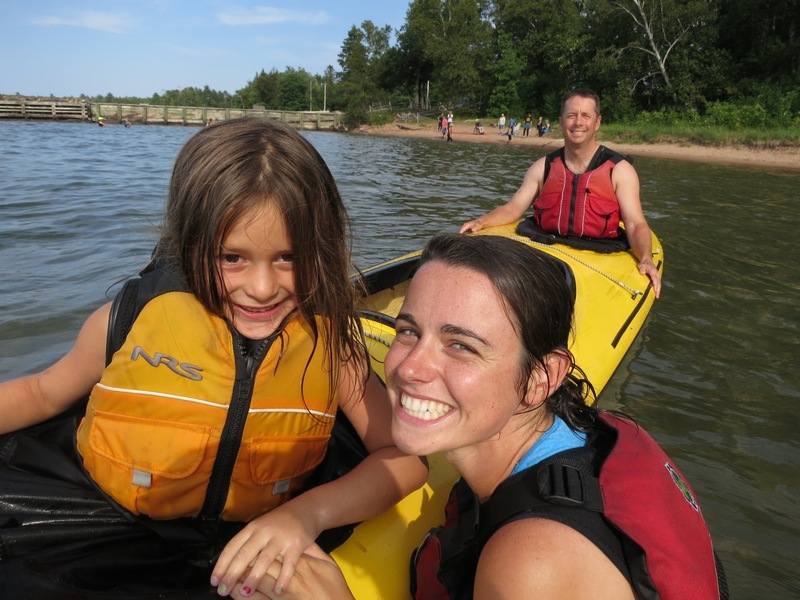 Our staff love kids and are great at making sure your whole family has a great time.